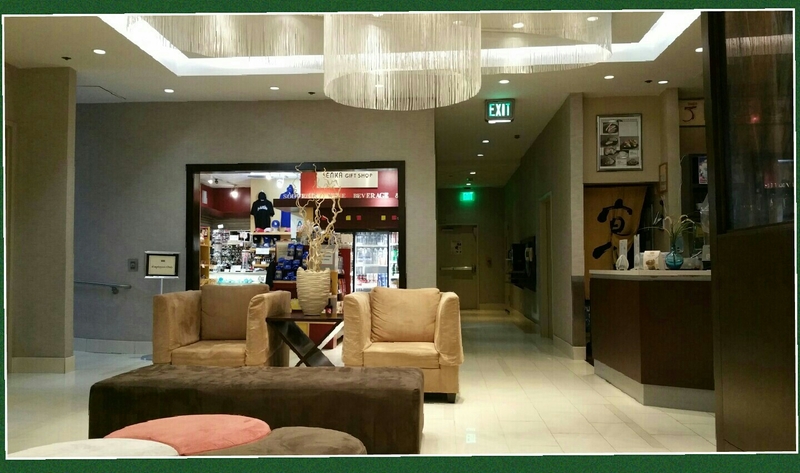 The lobby is really nice and very fashionable, the designs are very modern and contemporary. They have this nice swarovski-like chandelier that drapes down the ceiling adding texture to the lighting. At the center you will find couches that are big enough for you to slouch and relax, just enough to give their guests a taste of what they are going to experience when they have already checked themselves in. They have this boutique inside where you can find different things which you might need if you decide to walk around downtown LA. 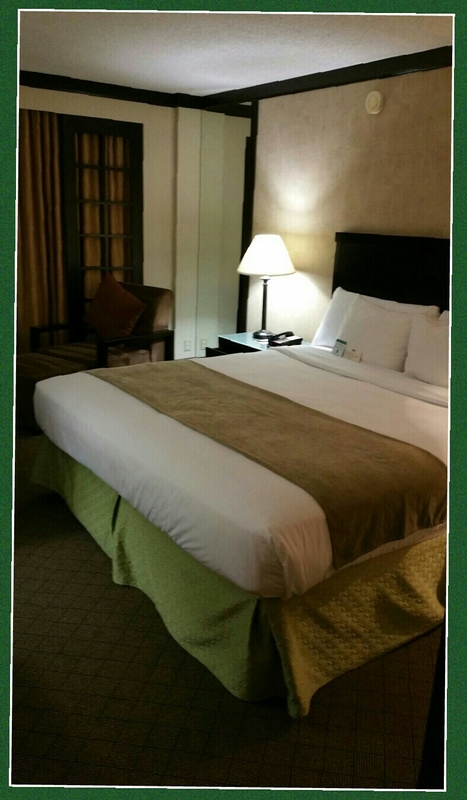 The room is very spacious and smells really nice, it has this homey feel that is very inviting, really cozy. The king size bed looks very comfortable and has the right firmness. The sheets are very clean and feels warm to the feel. This is actually good when you want your AC a little cooler. I was impressed by the cleanliness of this hotel, the room was set really nice and the furniture inside the room was arrange just perfectly right for person who works even at night. The lighting is set on dimmer side but they have this space where you can actually do some work before going to bed. The structure is spacious and wide giving customer the chance to breath and is very conducive when working on mobile. This is good for people who love working at their own convenience. The bathroom is just the right size it is better than most bathrooms I have seen in New York and San Francisco hotels and I must say it was kinda old style but the lavatory area had a very nice granite top. 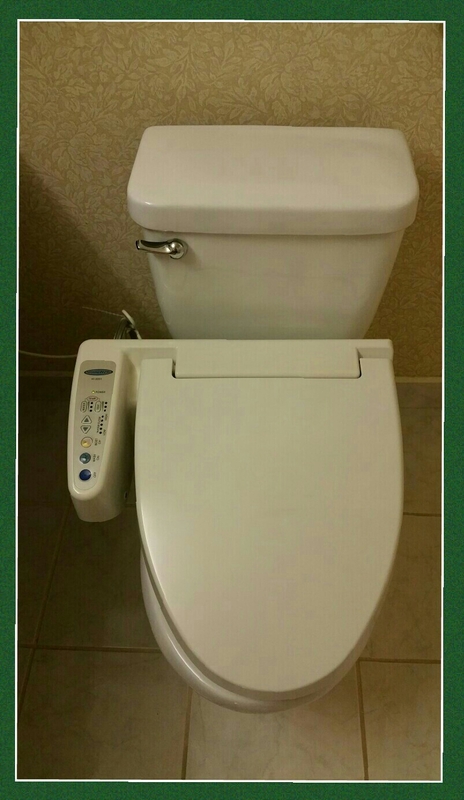 Of course the bidet is not new to Japanese toilets, and they have it! I like the clean feeling down there so this is a plus, you just need to use a certain amount of tissue paper to dry you up though. The water has the right pressure, unlike some hotels where you feel like you need to use the shower for more than 30 minutes just to make yourself feeling clean and fresh. My stay with Miyako Hotel was just a night and what I saw from their guess brochure is that they have different amenities like the fitness room, the cocktail lounge Ohjah and their gift store. I did not get the chance to check on these amenities though. 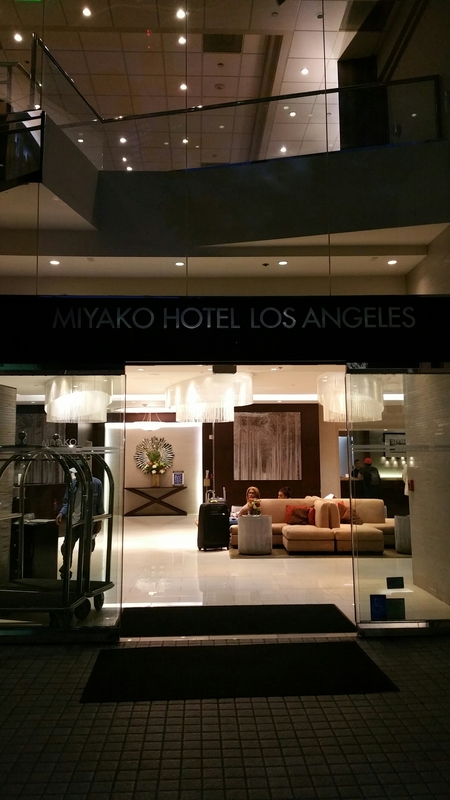 If you are looking for a nice place to stay for business or for pleasure or just to relax, Miyako Hotel Los Angeles is the place to stay. It is kinda pricey but the accommodation and hospitality is excellent. Los Angeles Parking is a pain, but Miyako Hotel offers a very affordable valet parking ($20 unlimited in and out), so you do not have to stress yourself out on where to park your car. Location is superb mostly walking distance from entertainment hub, the Little Tokyo is just around the corner, if you want to feel the Japanese culture, it is only a 5 minute walk. I had an appointment with USCIS the next day and it was 2 blocks away and I got there really early and fresh. The staffs are very accommodating and very professional, they are not the no-nonsense type like other hotels have. They are very warm and friendly, and smiles are always ready! Now that is customer service the Japanese way!